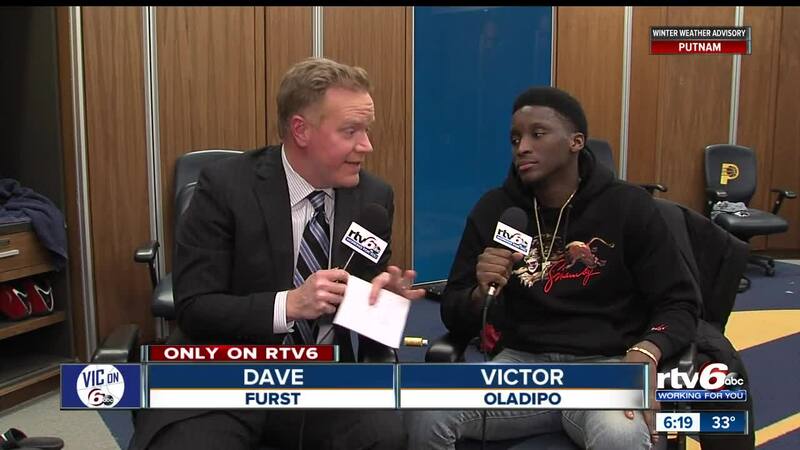 Vic On 6: Oladipo back home after long road trip. INDIANAPOLIS — Victor Oladipo talks about Myles Turner returning to the court, his favorite Bloomington, Indiana restaurant, who his favorite basketball player is and preparing for the 76ers. Watch this Vic on 6 special above.